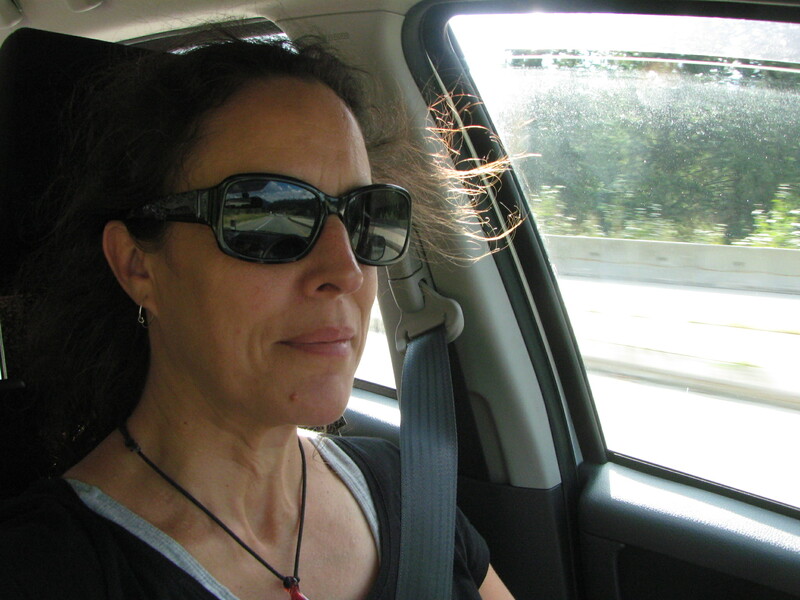 I’m super grateful for my new air conditioning experience as… …. I was feeling a wee bit wooly and the cool air kept me going. 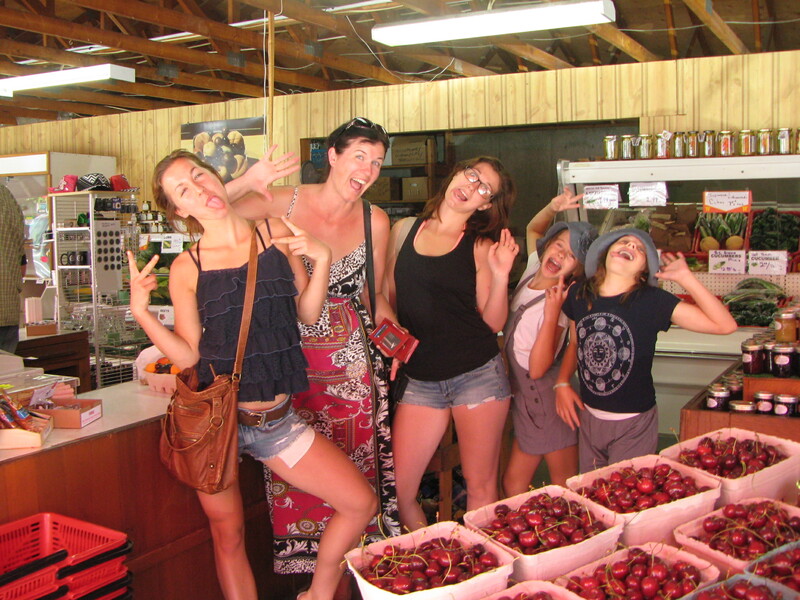 Pat at the fruit stand near Summerland was a fun pause (and also a moment of life conversation about our Mums), as were the gals from Manitoba and Vancouver. 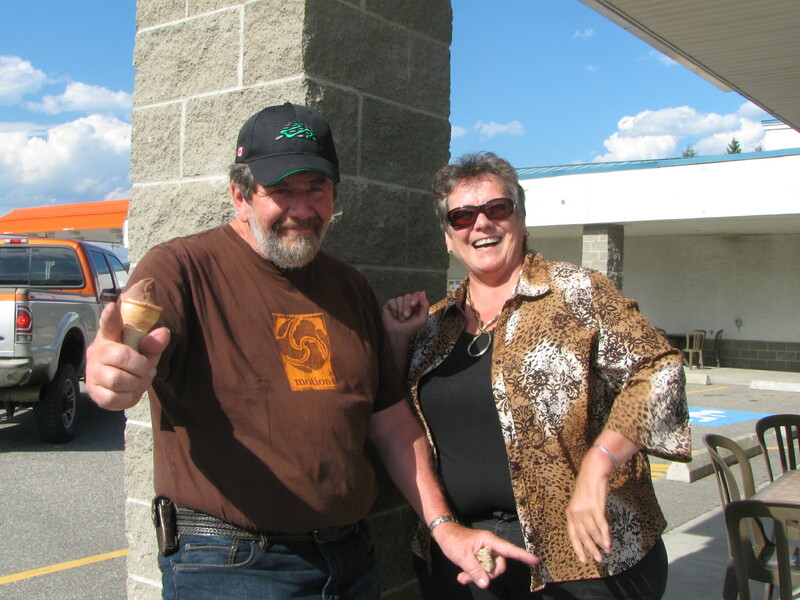 Managed to not eat ice cream in Vernon but found a couple of folk, also from Manitoba, who were willing to be silly for a couple of moments. 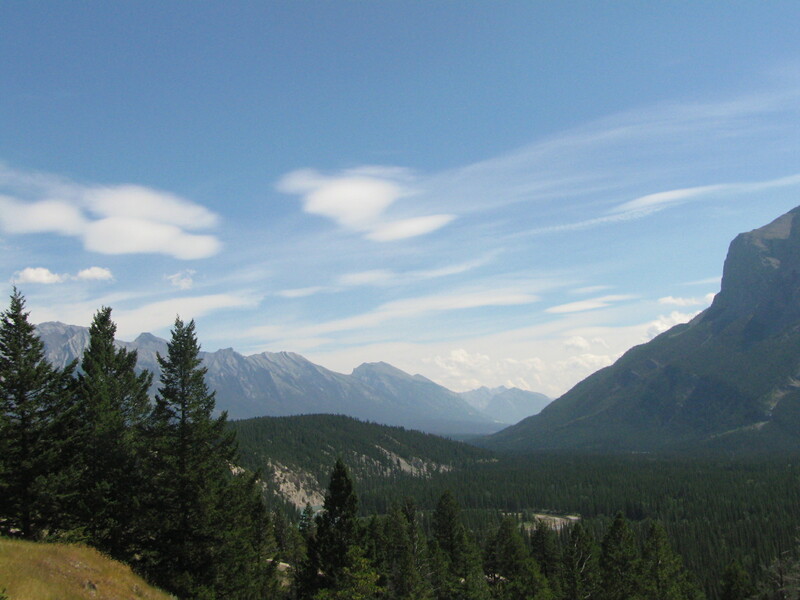 Then the nostalgic drive to Banff. 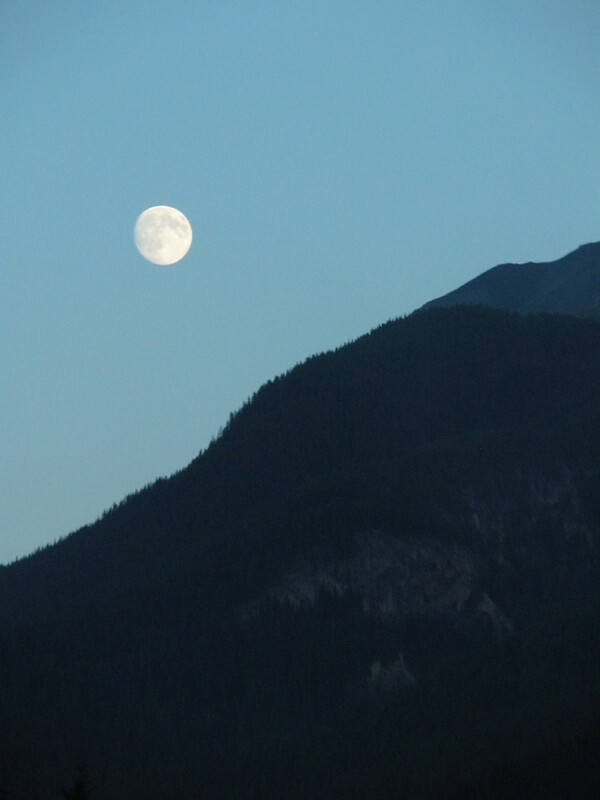 I was disappointed that I was going to arrive in Banff at night, but that had it’s charm with the almost full moon. In Golden, I caved in and, shhhhh… don’t tell anyone, I slipped into MacDonalds for some road fries and a non-Tim Horton’s coffee. BUT I got my last British Columbia silly people there so it was really worth it. Their energy kept me going for the last couple of hours. 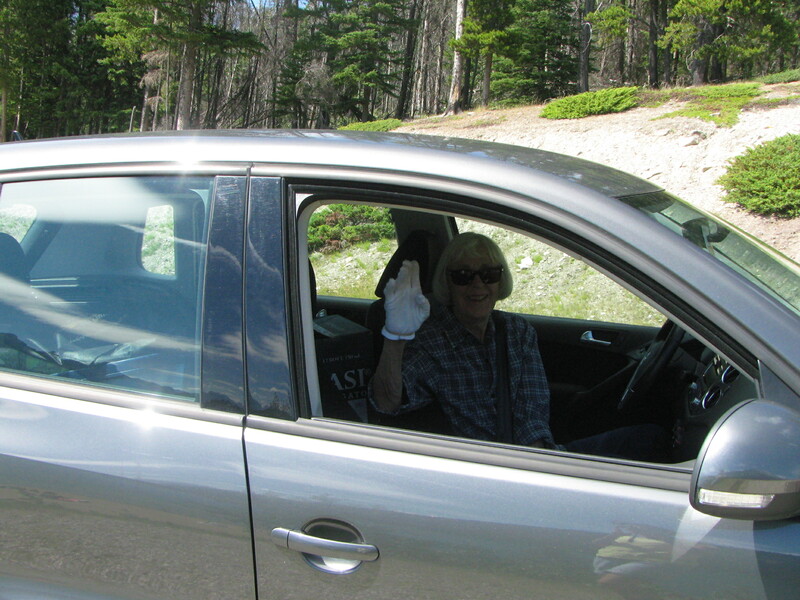 Yesterday, I spent an emotional day driving with my oldest Banff friend, Aunty Jill, around Banff, and catching up. Then a few hours with my Banff girlfriend, Brenda. 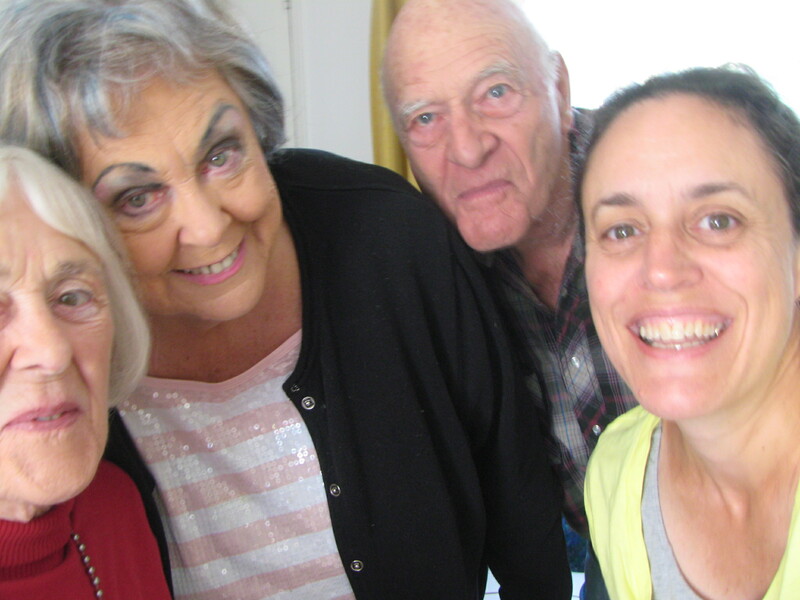 We’ve known each other for…. well, let’s just say… since we were 2yrs. I’m supposed to be leaving for Cypress Hills right now, but am behind in time again. Might stay in Banff one more night, if I think my schedule will take it. Hmmm… I realize I’m trying to beat my computer battery from running out before I’m done so not a very profound post. Mostly a wee catch up. My next ventures will be less emotional as places aren’t as close to my heart as this town. And, it will be easier to leave. I think.